Have you been keenly awaiting the chance to test out macOS Sierra, Apple's next desktop operating system? Well, your luck's in today, as the public beta of the OS is about to be unleashed. 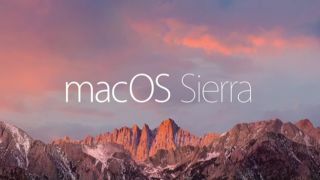 Up until now, macOS Sierra has been available for developers to download and test, but your average Mac user hasn't been able to get a slice of the action (unless they were willing to pay to enroll as a developer, that is). That all changes with the release of the public beta, which you can grab at this page later today. Note that, as ever when beta testing software, you may encounter bugs and technical hitches of one variety or another. In fact you can pretty much depend on it, particularly in the earlier stages of beta testing. Given that, it's a risk to use macOS Sierra with your main computer – and whichever machine you install the beta version on, it's a sensible idea to back everything up first. Be prepared for the worst, then you can be relieved when it doesn't happen. Apple reminds testers that if they do encounter issues, they should use the Feedback Assistant app to report them. That's the whole point of beta testing, of course. Expect regular updates to the beta version of macOS Sierra as we head along the path to the full release of the operating system, which is scheduled for this autumn. You'll be able to upgrade to the full release client directly from the beta. Apple's macOS Sierra brings Siri to the desktop for the first time (the keyboard shortcut for the virtual assistant is now 'command-space hold' in the new public beta, by the way), and it bolsters Continuity with touches like the Universal Clipboard function which allows you to effectively cut and paste across Apple devices in completely seamless fashion.